The acting principal of Calabar High School, Calvin Rowe, has now released a statement rejecting some of the accounts of physics teacher Sanjaye Shaw who claims he was assaulted by two top athletes, DuJour Russell and Christopher Taylor. Shaw said he was assaulted on December 15 during an overnight physics camp he had for his students at Calabar. The athletes were staging a training camp on the campus at the same time. According to Rowe, the video recordings provided by Shaw almost a month after they were first requested, did not show any evidence of assault. Rowe also said, following interviews with witnesses as well as the accused athletes, the school administration decided to issue a strong reprimand to the athletes for disobeying Shaw's orders not to enter the Physics lab although the was demanding that they be suspended. However, the acting principal said some time later, he suspended the athletes for five days but permitted them to continue athletics training, compete at external track meets and complete their school-based assessment for the Caribbean Advanced Proficiency Examination. Shaw has taken issue with the fact that Taylor was allowed to train and compete while on suspension and on Friday took to media to highlight that grouse. According to Rowe that was a unfortunate. 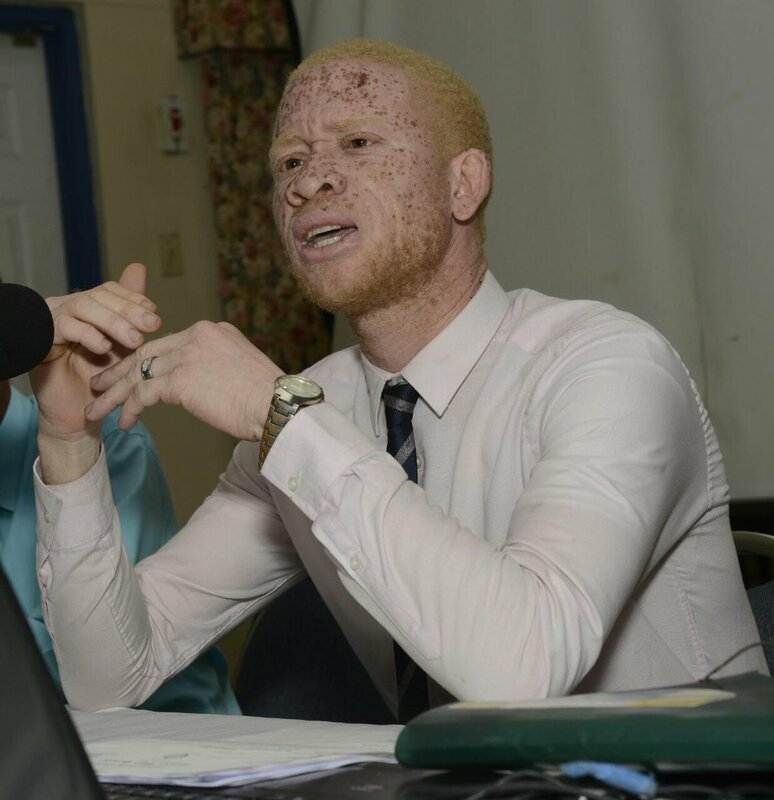 "We are deeply disappointed with the action taken by Mr Shaw especially since, as a teacher of over four years tenure at Calabar, he could have sought the guidance of the Jamaica Teachers’ Association representative at the school who would have surely advised him to exhaust the avenues available to him for resolution within the school and wider education fraternity," Rowe said. The acting principal also said the "saga" has led to many disgusting, unsavoury, unnecessary and uninformed responses and actions by persons known and unknown. "We have learnt, for example, of social media posts fraudulently claiming to be from the two students in question and acknowledge their public statements disassociating themselves from these posts," he said. Rowe also revealed that the athletes have reported to the police the fraudulent, unsavoury social media posts for them to investigate. We write in response to a press conference called by a teacher of Physics at the Calabar High School (Calabar), Mr. Sanjay Shaw, on Friday, March 22, 2019, in which he sought to detail an incident between himself and students of the school. Based on material supplied at, and a recording of, the press conference, Mr. Shaw et al, levelled accusations of misplaced priorities and lack of timeliness at the school’s administrators, primarily me, as acting Principal, in our handling of the situation. This response will not be detained by the accusation of misplaced priorities, which he posited is evidenced by the school placing greater emphasis on sports vis-a-vis academics. Many of us were privy to a robust discussion which raged in sections of the media a few months ago (2018 August/September) over our insistence that our boys do their best academically. That is still, and will always be our stance. On the evening of Saturday, December 15, 2018, I was made aware of an incident that took place on the school’s campus earlier that day involving Mr. Shaw and members of the track and field team. I was advised that the incident surrounded the removal, by Mr. Shaw, who was hosting a Physics camp, of mattresses being used by the track & field team and a subsequent attempt to retrieve them by members of the track & field cohort. I visited the campus the next day, Sunday, December 16, 2018 and began to investigate the matter. I addressed both groups in the presence of the Calabar Old Boys Association (COBA) President. In my discussion with Mr. Shaw, I expressed regret that the incident occurred and requested that he provide a report to include video recordings he said he had and which he had already shared with a former president of COBA. On December 18, 2018, in the presence of the Dean of Studies, I again asked Mr. Shaw, and he agreed, to provide me with the video footage of the incident. On December 19, 2018, I wrote to Mr. Shaw requesting the promised footage to which he replied without reference to the video (email evidence available). On December 22, 2018, I received the report from the management of the track & field team. I also learnt on/around that time that a medical doctor visited the camp to inform them that his patient, Mr. Shaw, was intent on pressing charges against two of the students for allegedly assaulting him. On Christmas Eve, December 24, 2018, I received the report requested from Mr. Shaw, minus the video footage. Upon the re-opening of the new term on January 7, 2019 another request for the video recordings was made on January 10; the videos were eventually turned over on January 11. As soon as was possible in the Easter Term, having received the video footage, my team and I began to process the reports and conducted interviews with persons who either were involved in, or witnesses to, the incident. It became clear to us as the investigations proceeded that there were conflicting accounts on key aspects, for example, the two students involved strongly denied assaulting Mr. Shaw and testified instead to the contrary; while one student admitted to shoving the teacher’s phone from the face of his teammate he was adamant that he did not step on the instrument. Having taken all things into consideration and noting the conflicting reports and the lack of evidence of any assault on the video footage, we decided not to escalate the matter to the Board but to deal with it at the level of the school’s senior leadership team. Subsequent to that decision and with some considerable effort a meeting was finally convened with Mr. Shaw on Friday, February 1, 2019. In attendance at that meeting were a teacher, who is also a member of the coaching staff, a Vice Principal and the JTA Representative on staff, in the capacity of an observer and support to Mr. Shaw. The meeting concluded with three demands being placed on the table by Mr. Shaw, namely to reimburse cost of repairing his phone, reimburse his medical costs and to punish the students by way of suspension. He was advised to submit the relevant documentation for the first two and that the nature of the punishment was the prerogative of the Principal. With the matter satisfactorily resolved we delivered a strong reprimand to the two students for disobeying a direct order from the teacher not to enter the classroom (in which he had stored the mattresses he removed from the track and field camp) and awaited receipt of the documentation for the repairs to the phone and medical bill. Signs of Mr. Shaw’s dissatisfaction manifested sometime later when he visited my office to ascertain if the two students had been suspended. In that visit he made it clear that the other two issues (phone repair and medical bill) were no longer important to him, it was the suspension of the students that he was interested in. Giving thought to Mr. Shaw’s insistence and even though I had made it clear that the nature of the punishment was not his prerogative, upon further reflection I decided to go a step further. The two students were re-interviewed and while their testimonies were unchanged I decided to suspend them for 5 days with the proviso that they were required to work on their CAPE SBAs, they were allowed to train and they would compete in their final development meet. It ought to be noted that both punitive measures were aimed at addressing the matter of disobedience to a teacher’s directive and NOT for assault, which, as was said earlier, we could not validate independently and with sufficient conviction. Again we assumed that the matter was finally satisfactorily behind us and were shocked to learn on Thursday, March 21, of a pending press conference being organized for Mr. Shaw to air his grouse. Later that day we became aware of an email sent by Mr. Shaw in which he expressed outrage at the fact that one of the students represented the school at a development meet while on suspension. We were also advised that Mr. Shaw was willing to have dialogue with us on the matter. We expressed an openness to speaking with Mr. Shaw even though by that time a press advisory/release was already in the public space. In a telephone call with Mr. Shaw (placed on speaker and in the presence of the vice principals) that same evening (March 21) he denied knowledge of the matter being in the public domain. Several efforts on our part to facilitate a face-to-face meeting that evening, as well as the next day, did not materialize as Mr. Shaw did not make himself available. We are deeply disappointed with the action taken by Mr. Shaw especially since, as a teacher of over four years tenure at Calabar, he could have sought the guidance of the Jamaica Teachers’ Association (JTA) representative at the school who would have surely advised him to exhaust the avenues available to him for resolution within the school and wider education fraternity. This whole saga has led to many disgusting, unsavoury, unnecessary and uninformed responses and actions by persons known and unknown. We have learnt, for example, of social media posts fraudulently claiming to be from the two students in question and acknowledge their public statements disassociating themselves from these posts. We join them in denouncing these acts and support their reporting them to the police for appropriate action. As regrettable as this saga is, it has provided another opportunity for us to reaffirm our commitment to the formation of the young lives entrusted to our charge. It has served as a teaching moment for students, staff and other stakeholders and will assist in our constant review of our processes and practices. We are confident that this matter will result in a renewed commitment to our motto, The Utmost for the Highest.